After we examine the charts, add up the numbers, and come to terms with the fact that the population of the planet has doubled within our lifetimes and expanded six fold within the last century, it’s time for some tough questions. Some really tough questions. In fact, the questions are so tough they’re impossible-- even for us—to wrap our heads around, since they leave us scrambling for ways to justify our own existence. As the population increases, the mechanized lifestyle of every new person in the developed world adds to the strain of an already overstretched planet. And even as population growth in in the most highly mechanized nations begins to level off, growth in developing parts of the globe (specifically China and India) have increased to a degree that appears to counterbalance the slowdown. What’s an already-living person to do? We have to eat, we have to drive, and as difficult as it is to accept, we do have to keep recklessly consuming—at least somewhat—in order to maintain the lifestyles to which we’ve become accustomed. We can fight to have legal caps placed on industrial emissions, and we can take political and financial action, reaching up to pull larger levers than our own lifestyle decisions ever could (shifting your investment portfolio away from fossil fuels and into clean energy will probably do more for the planet than a personal decision to drive less, though both are smart!) We can also commit ourselves to recycling, skipping plastic bags, and shaping a culture in which people feel comfortable having fewer children. But try as we might throughout the year, many of us hit a wall in the early days of December. How do we weigh eleven months of responsible, measured consumption against the sudden urge to express our love by buying our family and friends a metric ton of household goods that they don’t need? Here are a few quick tips. Keep these in mind as the holidays approach. think about where it’s going to end up over the long term—Landfill? Ocean?-- and keep in mind that plastic lasts for thousands of years. A shared experience, a show, a membership, a season pass, or a trip, on the other hand, turn into lifelong memories without hurting the planet. 2. Go easy on the wrapping paper. Reuse, reduce, or make use of paper bags. 3. Cut back on meat. Reduce the number of platters on the table with meat in them, ideally to just one (or zero). While you’re at it, food shop responsibly. Don’t buy twice as much as you’ll eat and throw the rest away. 4. 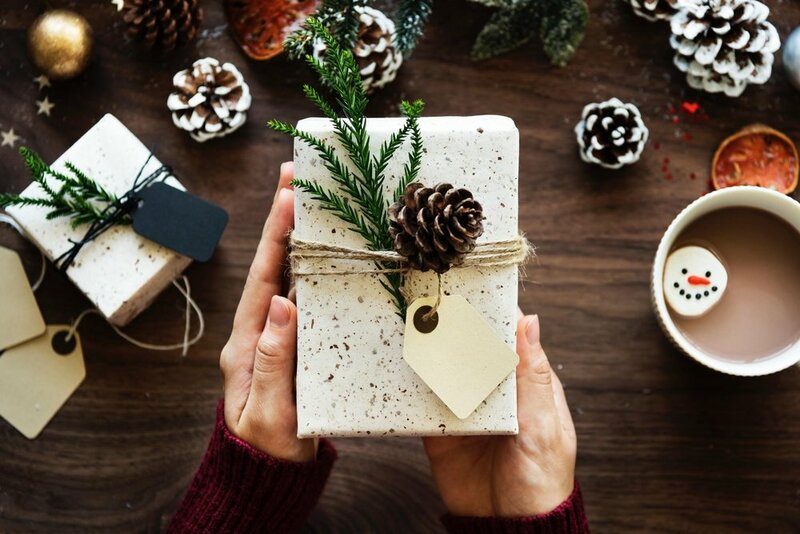 Encourage Yankee swaps/white elephants/pollyana-style gift-giving equations among your family, friends, and coworkers, so every person doesn’t end up with a gift from every other person, but everyone feels loved and indulged. Most important of all: Push back. Stay in control of your actions and decisions during the holidays instead of letting the holidays control you. Take a stand, regardless of what others around you might be doing, and keep the experience reasonable, responsible and smart. Your friends and family may all be secretly wishing they could rein in an annual out-of-control consumer frenzy—Have the courage to tap the brakes and lead the way.